Learn. Engage. Accelerate. Program. The growing Magic Leap community of creators, developers, partners and pioneers convened today in Los Angeles for our inaugural L.E.A.P. conference celebrating spatial computing. Want to know what you missed? Check out the livestream here. Need more? Read on for some of the highlights, and stay tuned for more about what we learned and how you can participate in the days and weeks to come. We announced our Independent Creator Program, a grant initiative designed to support indie development for Magic Leap. Developers accepted into the program will be able to apply for grants that offer support to accelerate their work through access to hardware, financial support, engineering support, and/or marketing support. We also announced an Award Program for innovative indie concepts and releases. We’re excited to begin both programs and will share more details soon. We think spatial computing should be a safe haven and a creative space that includes all who respect each other, who want to build new worlds, and who want to create within our world something that can express deeply personal visions, thoughts, and emotions. At Magic Leap, we not only celebrate doing things differently, we want our platform to be a sanctuary for the unique, the unconventional, the bold, and the brave. We reiterated one of our core principles at Magic Leap to respect the user. We strive to ensure the user experience is comfortable and safe, and the user’s privacy and security is important to us. Rony and AT&T’s John Donovan talked about our deepening relationship. Beginning this year, AT&T plans to offer hands-on Magic Leap experiences, including Warner Media content, in select stores. 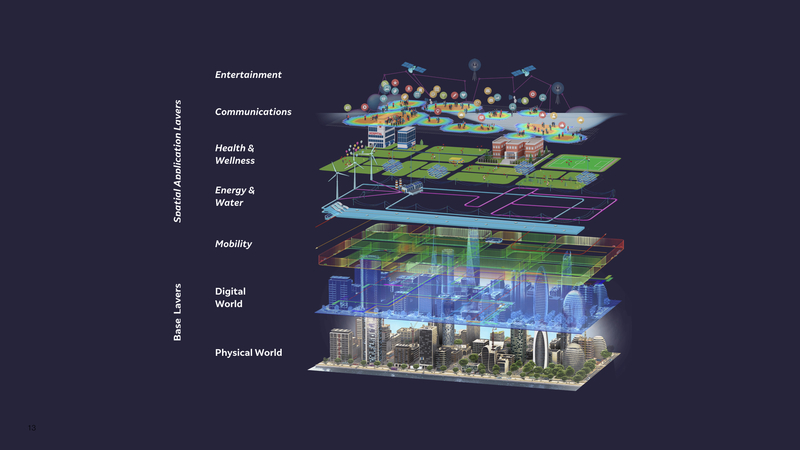 Also this year, AT&T will host a spatial computing hackathon in November in San Francisco and AT&T will install a mobile 5G test zone on Magic Leap’s campus in Plantation, Florida. Next year, AT&T announced they will bring DIRECTV NOW to Magic Leap One. Our goal is to make it easier for creators to develop on top of LuminOS, our internally built operating system made possible by the contributions of the open source developers and open source communities around the world. We already support WebGL, and we plan to support WebXR by the end of the year, and hope to continue to collaborate actively with open source communities and open standards such as W3C and Khronos Group. Magic Leap considers security and privacy to be core functions of our platform. To that end, we’re pleased to announce our bug bounty programs with Bugcrowd, which will help our products and services undergo testing by the external security research community. More details about our bug bounty programs can be found at https://magi.ca/bbp (device) and https://magi.ca/bbpc (cloud). We started rolling out over-the-air software updates with our first OTA last week (vers. 0.92). Our next OTA update (vers. 0.93) is slated for the end of October, and is anticipated to feature Avatar Chat and new user settings that allow you to get better visuals from our capture functionality, among other things. More great OTA updates will ship later this year and in 2019, including the ability for Avatar Chat to support three-person calls, the first webview API and Dash support for streaming. Additionally, stay tuned for the support of the concurrent use of two 6DOF controls through the SDK, and so much more! We announced that we will enable spectator view and large scale mapping later in the year, paving the way for our object recognition framework -- another key building block of the Magicverse. In the first half of 2019, we plan to roll out our first requirements related to enterprise deployment management. We have been shipping the Goat_Labs Developer Samples, or GLDS, which include two fundamental tools that our team now uses as the basis for everything we do. We’re now making these available to all creators. First is DERP, which is a debugger that establishes a connection between your computer and your Magic Leap device. Second is the Dense Mesh Adapter, which converts room geometry into familiar Unity or Unreal objects. On top of this, we've built two reference apps that we are making available with full documentation and access to a discussion forum. We want as many creators as possible to have access to Magic Leap One Creator Edition, so we've recently rolled out standard shipping throughout the contiguous U.S. We’ve also partnered with Affirm to offer 0% APR financing options. More details are here. We’ve also expanded access to our delivery service powered by Enjoy from 6 cities to 39 cities, within an additional 11 cities opening up within the next month. We are working to expand the geographies where we make our products and services available. We’re continuing to refine the Magic Leap experience. We introduced prescription inserts for Magic Leap One Creator Edition. We also introduced a carrying case for taking the Magic Leap One Creator Edition on the go. Stay tuned for details on price and availability. Moving forward, we are focused on enabling multi-user experiences in mixed reality. This is the first step to embedding real spaces with virtual content that we can all see and share. We can see virtual content in the same place at the same time by wearing Magic Leap One together. This is part of an experience we call casting. Today, we introduced Avatar Chat, which will allow people far away to appear in each other’s rooms as avatars by taking full advantage of Magic Leap’s perception features. This is just the beginning. Join our Creator Portal, and follow along on Twitter to make sure you don’t miss any updates!